I looked at your link and would guess you are using 4 second frames with a 1 second transition??? That leaves about 3 seconds of viewing which is a bit fast for my tastes. I would bump the frame to 5 seconds which will leave 4 seconds to look. As far as a setting??? What issues have you had feedback on? Oh my, Jim - you're very fast!! Thank you so much for moving this to where it should be! I'm using 3.5 seconds with the transition (not sure how long that is). This is the speed my clients want. Viewers can stop it when they want to get a longer view. Apparently a quick, overall view is the preference. I've been told it can't be seen on a MAC. I suggested the free download to generate Windows files. Apparently exporting as Windows Media Video 9, 1280 x 720 can't be seen on some mediums (iPads, etc.?) I can't check, but one new client said the homeowners couldn't view the Tour. 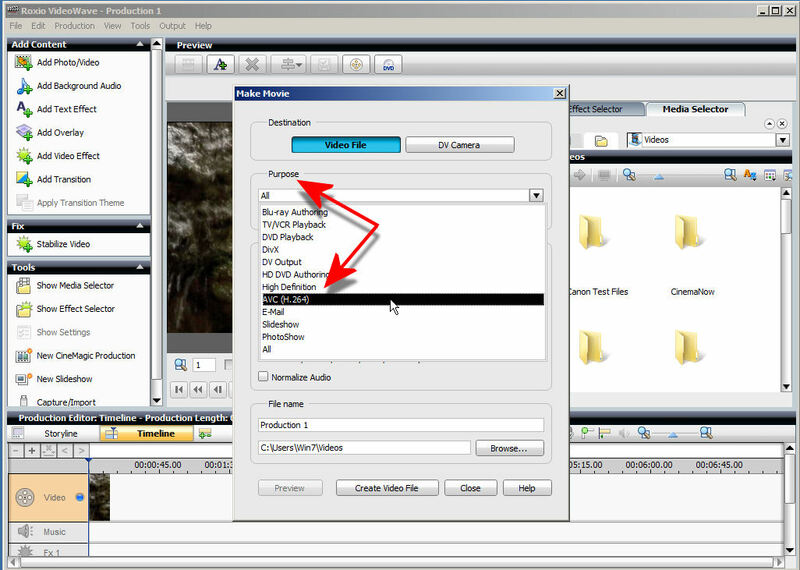 HERE ARE MY SETTINGS ... Destination - Video File ... Purpose - All (someone suggested setting that to AVC H.264, but he wasn't sure, and if I change it, I have no idea what to set the Video File Quality to - since I don't know what any of this means ... Circle clicked - NTSC ... Video file quality - Windows Media Video 9, 1280x720 VBR. Is any of this making any sense? I thank you in advance for your patience. Hello again, I've attached the PDF files of my settings in the hope that it makes clearer what my choices are and why I'm totally unsure of which settings to use - in order to create Virtual Tours which everyone can see, when I've posted them on my site, sent my client the link, and viewers who go to the MLS listing can see them on various mediums - at home and on-the-go. I love my PC and am very familiar with Photoshop (which I've used since the first version came out in 1989), and now Photomatix for post-processing. I've ALWAYS worked on a PC, and at this stage in my career simply cannot change anything. I'm not a tekky and don't have the knowledge to make informed choices. The quality of the video link posted is excellent! I'm viewing it on a home desktop PC in W-7 or W-8 with a 26" monitor. If you post it in less quality like a postage stamp for iphones or android phones the quality I'm seeing now will suffer. How about posting more than one file so they can choose the device they are viewing it with, but that makes more work for you. Experiment with output, export as, NTSC, all, and use less quality settings and have folks give you feedback. Thanks for all this information - and the links. 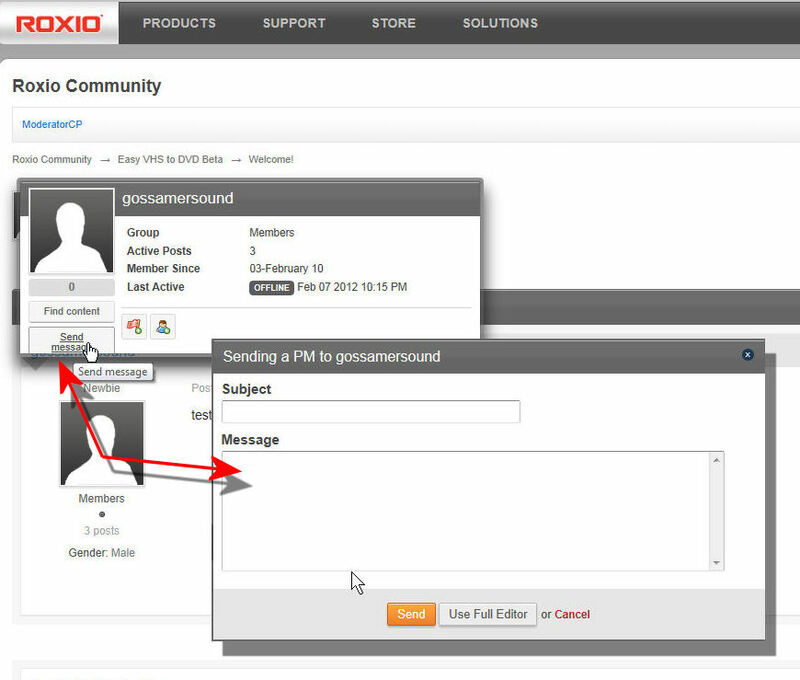 I guess I was dreaming someone would simply give me a step-by-step of which settings should be in each of the Roxio Creator 2012 Pro setting spaces (from the long lists that pop up) to create a Tour which could be seen at best quality in all mediums, when the link is put up on the MLS. From the info above, it seems you need my computer specs in addition to my Roxio version. My files are large (about 35-65 megs). I'm not compressing, but am afraid to switch any settings because that may pose more problems than I have now. Since I have no idea what the technical words mean, I've stuck with the way they were when I purchased the software - since changing 1 setting, produces different and a lot of various additional settings - none of which mean anything to me. Your help is much appreciated. I can appreciate it must be difficult to help someone who has no idea of the terminology. And, I'm sorry if I included my email address - couldn't find where I did that. 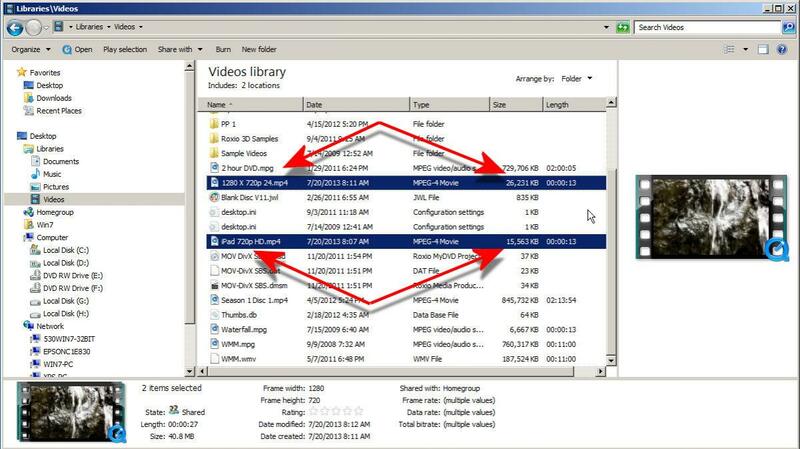 Addressing viewing the files on a computer. MAC default browser is Safari. (Note there is a PC version also) I was able to watch the wmv file on it using Safari on my PC. I had no problems watching the vidoe on the MAC. The difference is (in my case) the PC playback started almost immediately, the MAC had to download the file before it would play it. I don't own any Apple products other than the laptop. They may take different formats for the portable devices. You may have to create a web page with links to the WMV files and to ones that the IPhone and IPad will take. I'm not sure how the MLS site works so you may have to create more than one page. 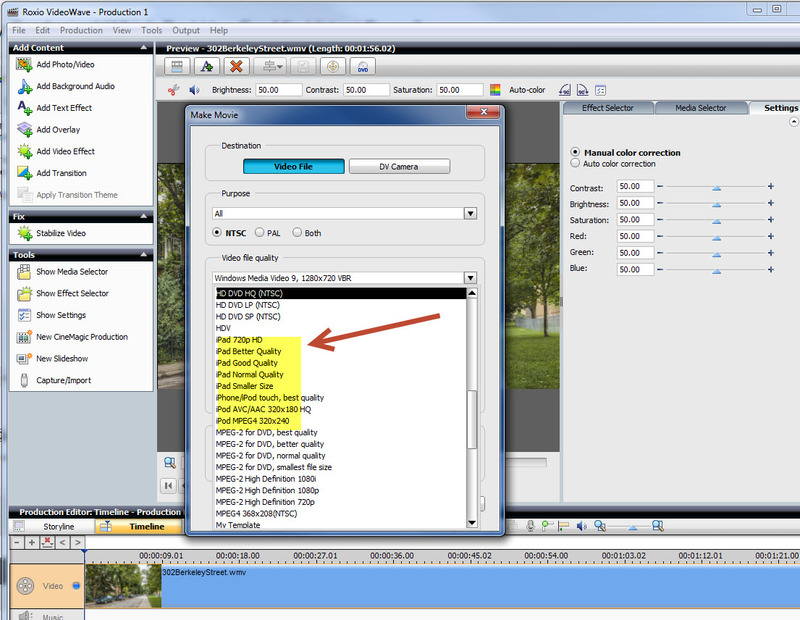 I think that you can select one format and size and it will do for everyone..
Once you have your wmv done, in Video Wave, select to output (top menu) select "All". The drop down will list the applicable formats for IPAd, IPod and IPhone. I think you didn't scroll down far enough. I'm sorry if I am repeating something from above but I thought that the image may help. (By the way, I added some paragraphs in your posts above. I volunteer at and organization that has the same issue with paragraphs on that computer. The organization is one thta teaches computers to seniors and none of the techs can figure it out). I am wondering if the MP4 format would work for both??? I use it for many of my movies that I want to show in my iPad 2. I Do Not have a MAC but will ask my Nephew what will work! I was not aware that Safari for Windows was no longer available. First, yes, I use Internet Explorer 10. And, I've found how to do carriage returns - by typing in my notepad and copy/paste here! I know nothing about Apple products, IPhones, IPads, etc. and have a cell phone but only for emergencies when I'm on faraway photo shoots. Yes, I have selected 'All' in the output menu. I have scrolled down all the way, and 'Windows Media Video 9, 1280x720 VBR' is near the bottom. The 'iPad Better Quality' bothers me a little. Why isn't there a 'Best Quality'. And 1280x720 seems a large size - which I'd want for full-screen viewing (but not sure anybody actually does that!). MPEG files seem to be the most versatile, right? I thought of trying 'MPEG-2High Definition 1080' - but not sure what's the difference between the 'i' and 'p'. Thanks again, everybody, but I have to shut down. I've been at this almost non-stop since 4am! Tomorrow's another day. The "P" & "I" are for TV's... They are Progressive or Interlaced and Progressive is yeilds the most accepted results. In VideoWave, I used both AVCHD 1280 x 720P/24 AND iPad 720p HD. 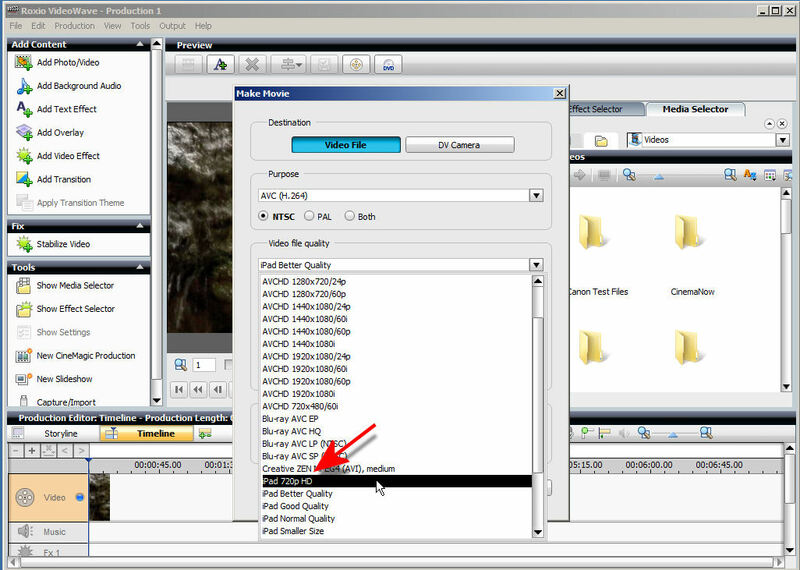 (both under the AVC (H264) options. The 'iPad 720' produces a smaller file since it encodes at almost 1/2 the bit rate of the other. That is another thing I want to check on ~ Quality. If anyone else can slap together samples and test them on PC & MAC & iPad, please feel free to do so!!! I would suggest you try it for yourself using a few slides of high detail and post a 5 or 10 second test sample of each using those settings. I did not test on my iPad 2, but will if you like? I had NOTHING to do with that!!! 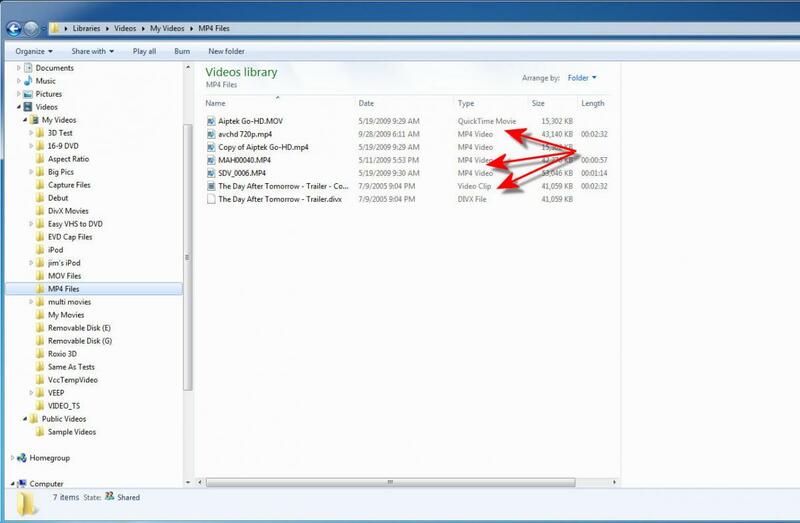 Where are seeing the terms "MPEG 4 Video" and "MPEG 4 Movie"? 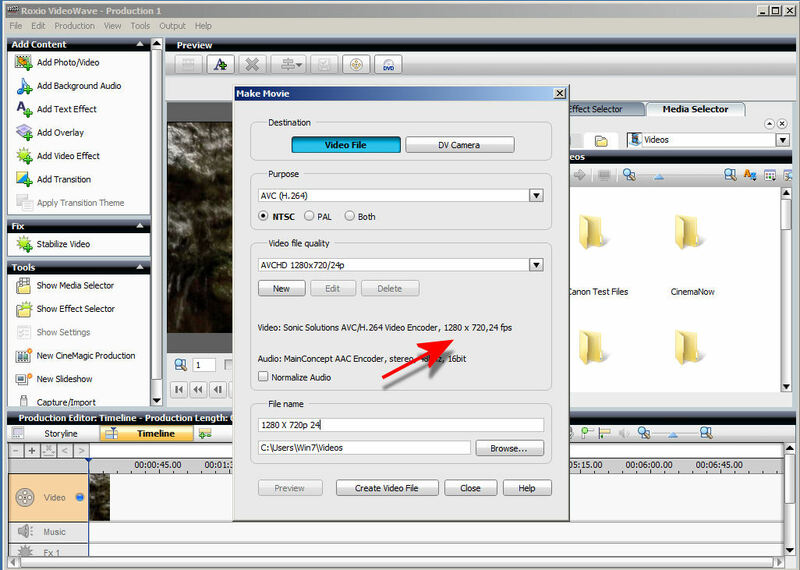 Files sizes are a function of the quality of the file, the length (movie) and bit rate is was rendered with. 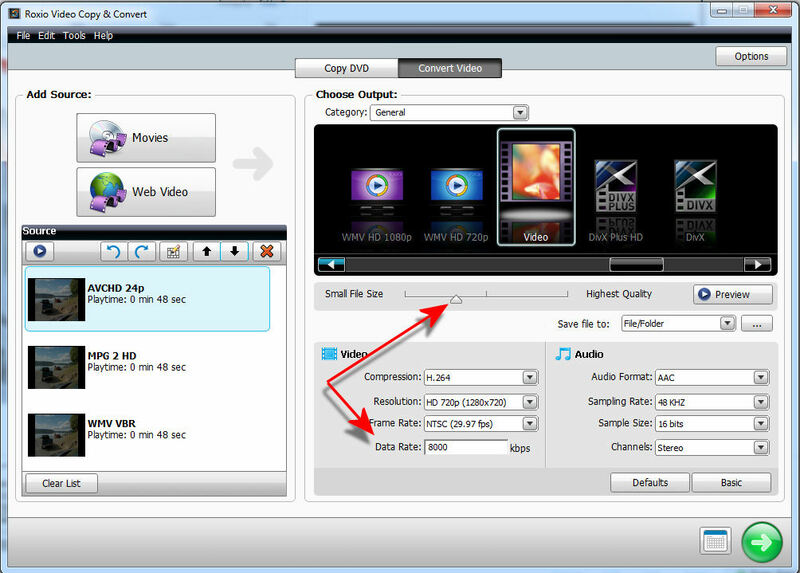 Roxio normally does Fixed Bit rate rendering with the exception of its' WMV outputs. There you will note the work Variable is used (VBR). Naturally it will usually produce the smallest files. But sometimes you sacrifice Quality to get them and you release all control to the program. 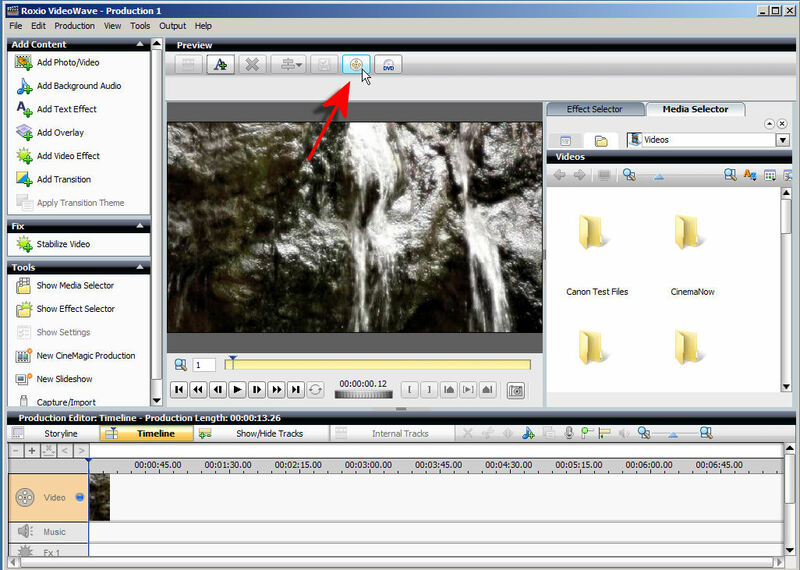 You can pull them into Video Copy and Convert and output them at a lower Bit Rate. Dabble with the Quality setting till you hit the balance you want between Quality and Output Size. Well a lot of us have them here!